Spring has sprung! At least it has in some parts of the world! 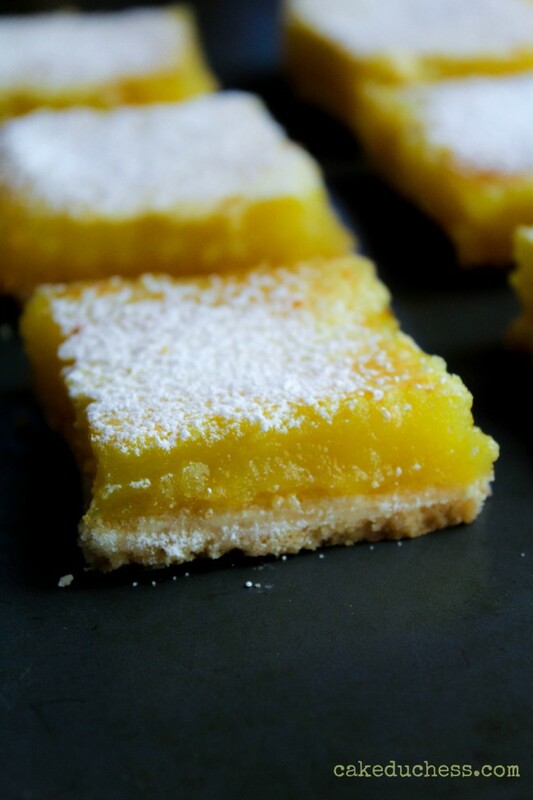 If you are not so fortunate to experience temps in the 70’s, it’s time for some brightness from these very spring-y Lemon Bars! I don’t know what it is about bars, but they’re so pretty and so lovely to have at any special event, or actually, any day! Especially when they are the kind that are really pretty basic to make! You don’t have to drag out a rolling pin, really! 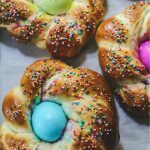 I know my bread recipes are usually a little more complicated, so this is something to put together in a short amount of time with a very big reward! I realize that I have to share more bars here with all of you lovelies. It may be possible the last ones I shared where these sensational sake strawberry bars. 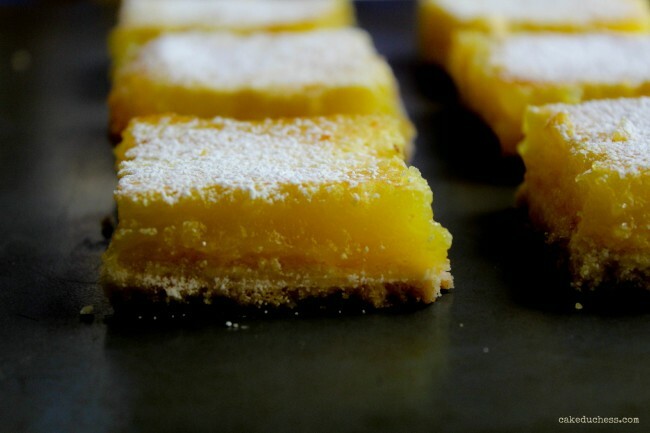 I am already imagining baking these bars with grapefruit and maybe orange juice. 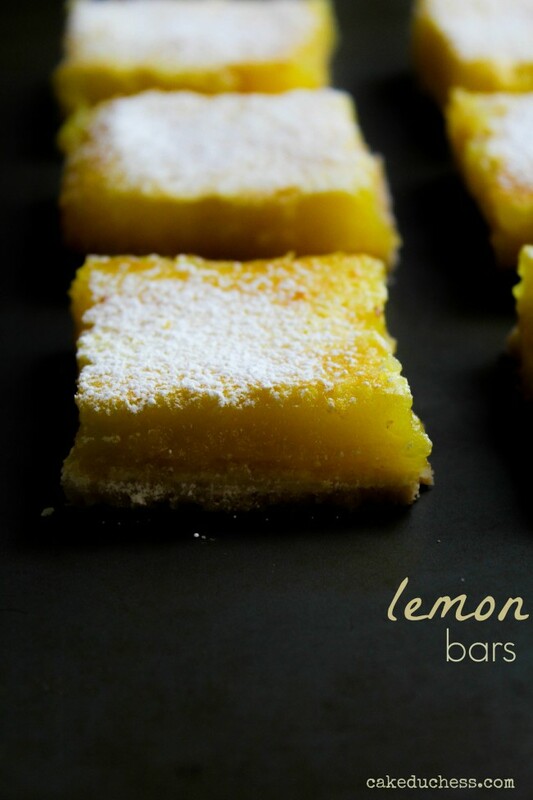 Or I’ll just stick to these lemon bars, because these bars are what everyone is asking for (yes, they disappeared too fast!). 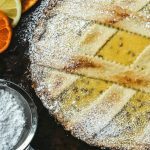 The combination of soft, buttery crust and tart lemon topping showered in confectioners’ sugar is something that cannot be any better. Half of my baking tasters feel their is my favorite part of the bar is the edges! Then there is the other half that loves the luscious tart center. You may be fortunate enough to come across some flavorful Meyer lemons and may be inspired to use them instead of regular lemons. Go ahead and use them, but substitute only half Meyer lemons for regular lemons. Don’t forget that Meyer lemons are much sweeter than regular lemons! I did use organic lemons, as I also use the zest in the filling, and prefer organic. That’s just my choice. You could use whatever lemons you prefer. If you are looking for something fun, something bright, something that you could put together relatively fast (except calculate the time to cool the bars, so they will slice nicely). This is your dessert! If you are a better planner than I am, you could bake them the night before, and then leave to chill overnight and bring them somewhere in the morning to somebody you really like! Preheat the oven to 350 F. Line a 8×8 inch baking pan with parchment paper. Spray the parchment paper with baking spray (or grease with butter). In a medium bowl, beat the butter and the sugar until fluffy. Beat in the flour until a soft dough is formed. Remove the dough and place it into your prepared pan. Press firmly onto the bottom and sides of the pan. 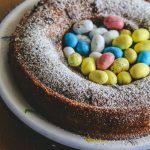 In a small bowl, whisk the whole eggs sugar and flour. When it is smooth, add in the lemon zest and the juice. Whisk together until incorporated. When crust is ready, remove from the oven and lower the temperature to 300 degrees. Spoon the filling over the crust and smooth over with a spatula. Return pan to oven and bake until the filling is just set, about 30 to 35 minutes. Lift the cooled bars out of the pan,using the parchment paper as handles. 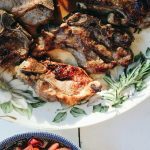 Let cool on a rack to room temperature. Cover and place in the refrigerator until cold (or overnight). Bars are better sliced when cold. Slice the bars into squares (I cut them into 12 small squares) and dust with confectioners’ sugar just before serving. The crust will soften over time. Store for a few days in the fridge.